Nice Little Heatwave to Ring in July? This map displays the temperatures on Friday at 5 PM. If this pans out, we could be looking at upper 80s across the peninsula with possibly a few 90s in spots under sunny skies. This is another reason why I love the low humidity here or else it would be hellish! But models are coming around to a general consensus of a gradual warming trend this week with mid 70s tomorrow climbing into the mid 80s on Thursday and then possibly low 90s on Friday. 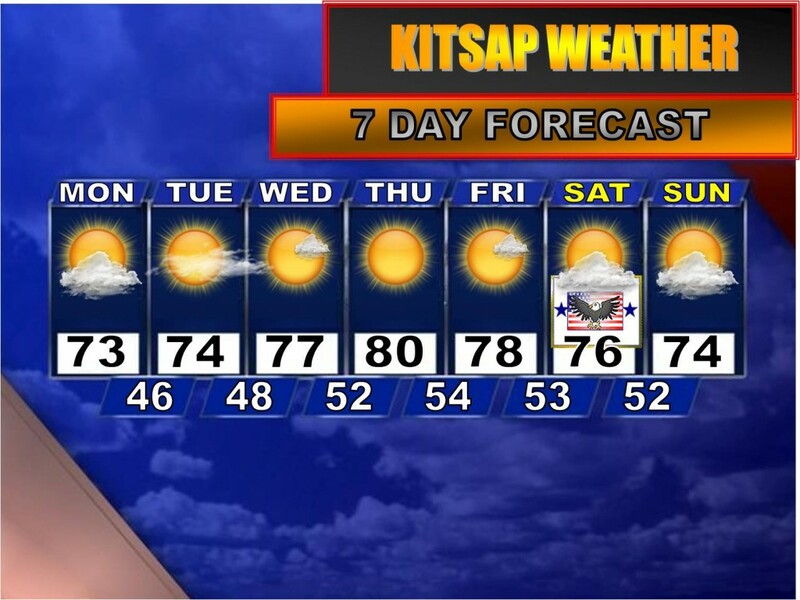 A cool down does arrive by the 4th, but not a dramatic one by any means. Highs will still likely be in the 80s, but we’ll increase the cloud cover as a marine push looks to arrive Saturday night delivering cooler conditions for Sunday and Monday. POLL/VIDEO: Predicting Weather One Year in Advance? Conventional meteorologists do not appreciate people like him because he, quite bluntly put, thinks outside the box. I admire astrometeorologists and the long range weather forecasts they produce because it requires much more than just looking at the ocean waters: they study the stars, sun, and other space phenomena that interfere with our weather. 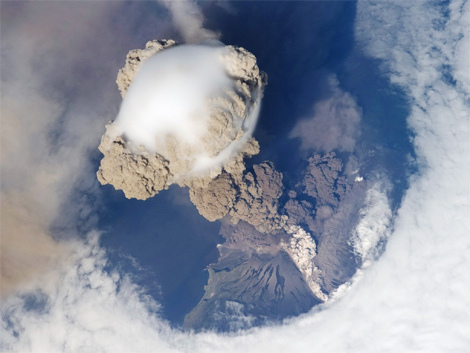 Of course, most meteorologists believe that stuff is just hokey. I think it is very real and I have seen long range forecasts from astrometeorologists come true with incredible accuracy. Corbyn is also controversial because of his belief in global cooling and how man-made global warming is just not true. 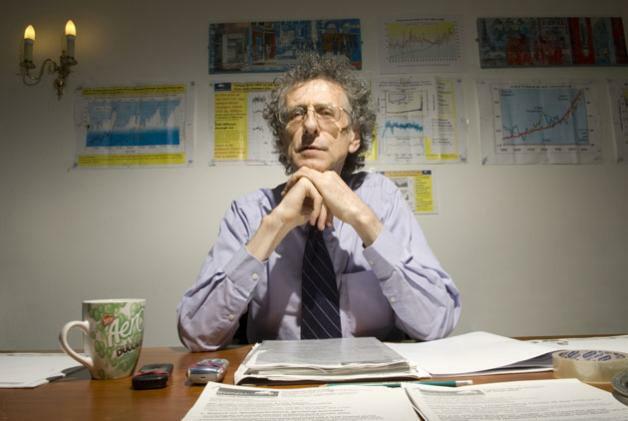 Most meteorologists believe—and I mean strongly believe—in the global warming theory. To me it’s just a bunch of government propaganda, but hey that’s my opinion. There are many strong indicators that we are in a cooling phase that could last us until 2040, according to Dr. Corbyn. In fact, according to the Dr., global temperatures have been cooling since 1998. I’ll post more about astrometeorology in the coming months, especially in August and September when astro-winter predictions are made. So, those are my thoughts/opinions on the issue. What are yours? There’s a new poll on the right hand side where you can voice your opinion. I know it was pretty dangerous to admit on this blog that I don’t believe in man-made global warming because this state is largely a Democratic one, but that’s why we have a comment section and a new poll, right? I’d like to hear your thoughts. Just be civil about it. I’ll now switch into my “conventional inside-the-box meteorologist” mode and give you the forecast for the week versus next year 🙂 . There are definite improvements, that’s for sure as Monday now looks partly sunny after morning clouds…I was afraid we’d be socked in for most of the day, but it should end up being a lot like today. Tuesday through Friday we enter a gradual warming trend with highs starting in the low 70s and rising to possibly 80 degrees by Thursday. 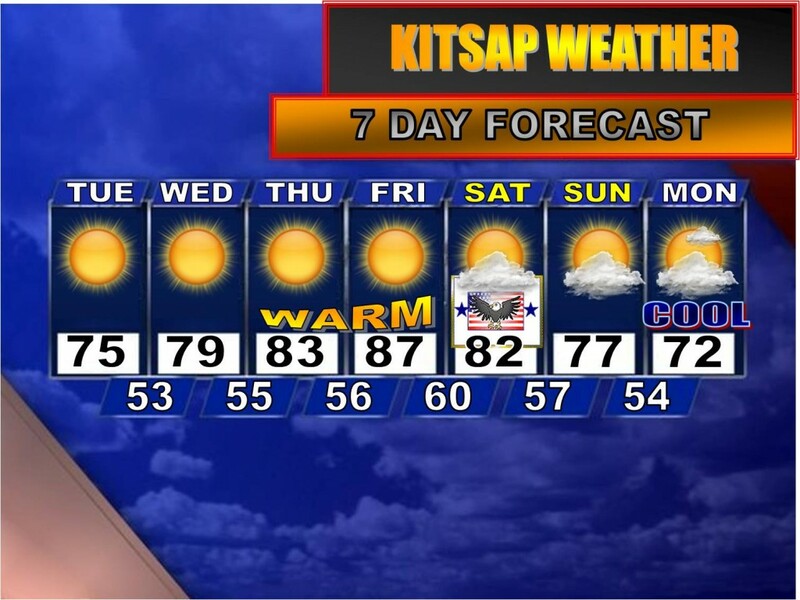 The 4th of July is looking better as far as no precipitation is concerned, but there seems to be a strong enough marine push that would only increase the amount of clouds in the sky and cool the temperatures down. But again, it looks dry and pleasant. Why Aren’t Washington Summers Humid? Well, it turns out the family agreed to come home from Wyoming earlier than expected because we have family coming in from London, England tomorrow and we didn’t want to be rushed to get things in order. So, today was full of indoor and outdoor yard work and the weather couldn’t have been better. I detest yard work, but today it was easier to do it—probably because over the past week I have grown to be very grateful for the summers here. In Wyoming (and Intermountain West in general) the heat is very warm and dry, making the summer there a true blazing hot summer indeed. It is bearable most of the time, but every once in a while it gets too hot. In the Midwest, the heat there is very warm and humid, often making it feel much hotter than it really is. There are different definitions of “humidity”, but the one I’m talking about is the amount of water vapor in the air. A common question is: “Why aren’t Washington summers humid if we’re so close to the Pacific Ocean? Wouldn’t that mean greater water content in our air?” Not exactly. It all depends on where we get our heat from. Our warmest days come from an airflow from the north or east which filters in drier air versus the humid air to our west. Once the warm air from the east side gets here it runs down the mountains, compresses and dries out even more, making heatwaves more tolerable here. Being next to the Pacific Ocean also helps us keep our temperatures from getting TOO hot. Eastern Washington has the Cascades to thank for limiting any major ocean/sea breezes, but here we get them constantly. The main driver of the weather, however, tends to occur from the north and east. So that is a little bit on why Washington summers—especially Western Washington summers—are typically quite comfortable in comparison to many areas in the country. We average temperatures in the 70s during the summer and we can count on one or two heatwaves (meaning highs in the 90s) every year. Take a look at this Humidity Index (click here) to see how low Seattle’s humidity levels really are compared to the rest of the nation. Typically in the summer we average around 30-40% humidity on a sunny summer day with higher humidity levels on cloudy/drizzly summer days. Not bad! Have a great evening and enjoy the weather! The latest weather news around the peninsula is the recent windstorm that raced through the area last night, causing power outages all across the Puget Sound. It certainly seems like we’re making up for all the windstorms we didn’t receive this winter, which was pretty quiet compared to normal in the storm department. Good news is the jet stream looks to lift north over the next week or so delivering much calmer weather to the area resulting in partly cloudy skies and highs in the 70s…for the most part. Tomorrow through Saturday looks pleasant with partly to mostly sunny skies, but Sunday through Monday we’ll be brushed with a weak weather system, dropping highs back into the 60s with more clouds and a few showers. After that we return to the familiar partly sunny forecast with comfortable highs in the 70s. Weather police are stunned this evening to learn of a brutal weathernapping of a popular season in the area. 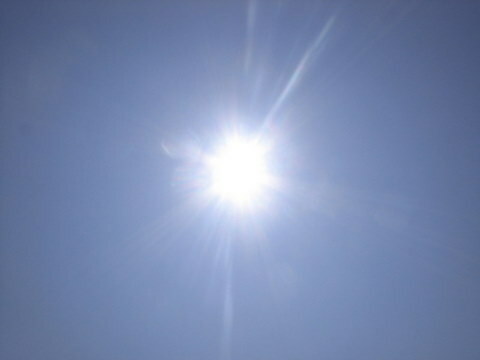 She was last seen on Thursday, June 4th when high temperatures across the region soared into the 80s and 90s. Then suddenly, with little warning, a local weather gang, The Massive Marine Pushers, moved through the area, causing temperatures to plunge nearly 30 degrees bringing summer with it. Leach did want to keep the spirits high across the area, however, noting that Summer has been weathernapped before. “Need I mention June 2007?” he exclaimed. “The week after school got out temperatures struggled to make it out of the 60s with one 80 degree day but overall it was cloudy, wet and cool. The following July and August featured impressive heat with high temps almost hitting 100 degrees on July 11th. The rest of that summer was very warm and dry. Police would like to note that even though school just got out, we did have an impressive dry streak from May-June that lasted almost a full month with temperatures in the 80s and 90s. While the current cool weather regime is kind of annoying, as a whole it hasn’t really been that bad. And July/August in Western Washington are almost always warmer, drier and more like the summer we all know and love compared to June. Police say to keep heads high and confidence strong as they track down The Marine Pushers. 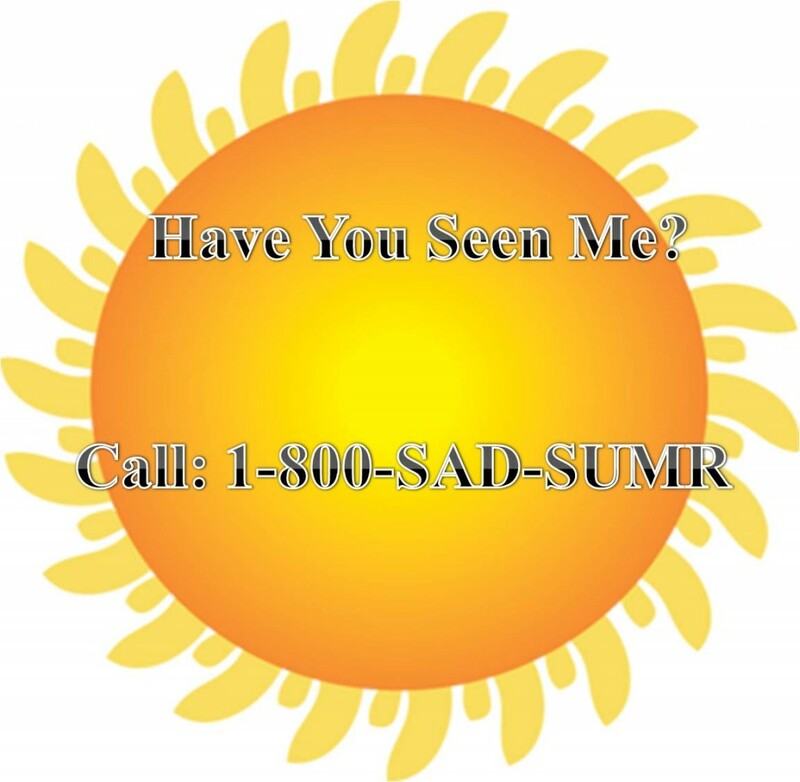 Police would like you to call 1-800-SAD-SUMR if you have any information regarding this tragic weathernapping. I got a few e-mails and Facebook notifications about how there was quite the thunder/lightning storm yesterday not only affecting much of the Kitsap Peninsula but on the other side of the water near Sea-Tac as well. One report came in that a bolt of lightning flashed near my church on Central Valley Rd that caused the lights to flicker followed by a big “KABOOM”. The jolt, as a fellow reader noted, “made everyone jump out of their skins”. Another reader commented on how funny it is that I’m not gone for more than 48 hours when we have an impressive thunderstorm! Darn. Just my luck. 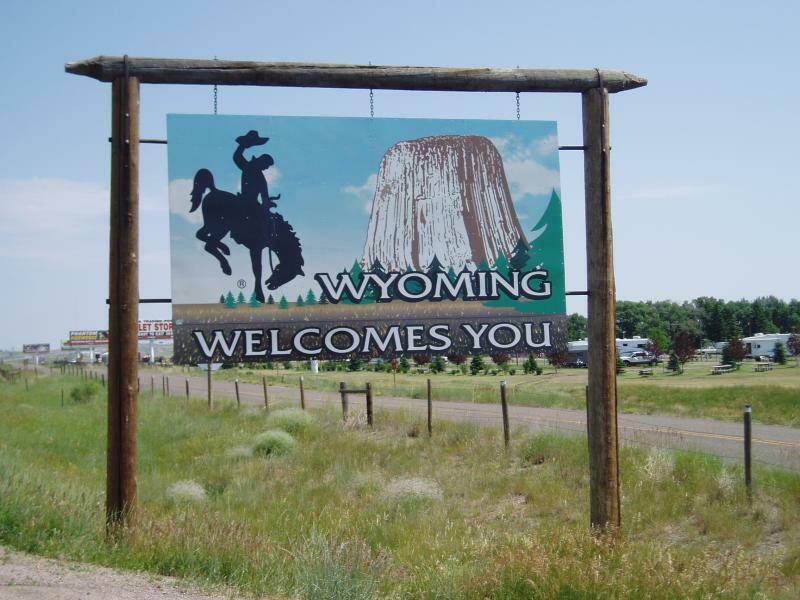 I am in Wyoming right now, however, and there was a nice little thunderstorm/windstorm last night so at least I’m not COMPLETELY striking out (no pun intended) ! Anyway, thanks for keeping me informed as I’m away. If you would like to comment about your experience with that thunderstorm yesterday feel free. Are we going to be seeing any more of that? Well, it’s hard to say considering I’m several states away right now but according to the most updated models we’re going to have a calmer weather day today with mostly cloudy skies, showers, and highs in the 60s—not exactly what a lot of you would like on the 2nd day of summer. The skies clear for your Tuesday, though high cirrus clouds could make it more of a “filtered sunshine” day, but highs will be warmer in the low 70s. Wednesday looks downright muggy with mild temperatures in the mid 70s but mostly cloudy skies with showers. I’ll keep an eye on that one…it could be a pretty unpleasant weather day. Showers and sunbreaks are the theme for Thursday and Friday before the clouds, showers and 60s move back in for the weekend. Good news? The longer range models from the CPC indicate normal to above normal temperatures and below normal precipitation for the next 7-14 days. The timing would be about right because by then we’ll be rolling in July! Have a great day and I’ll try to do as many updates as I can this week. Now I’m off to Custer’s Battlefield! On this dark, cold, rainy June evening I am writing to tell all you bloggers I’m going to be traveling to Wyoming tomorrow with my family. 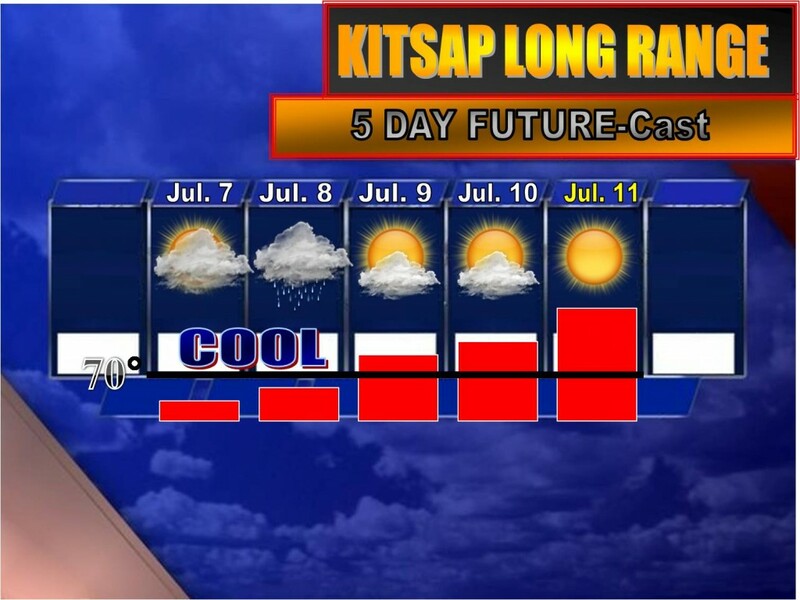 There may be some down time in between fun events where I can formulate a quick forecast, but the Forecasting Kitsap blog will be rather quiet over the next week. 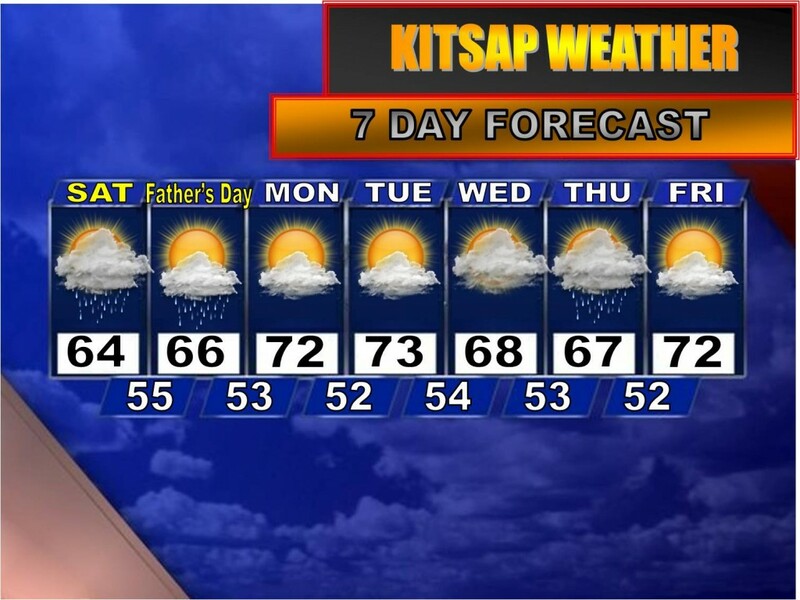 Tomorrow and Sunday (which is the first full day of summer AND Father’s Day) will also be quite showery and cloudy as a low off southeast Alaska spins up a series of showers and clouds that will make it feel and look more like April here than June. Highs will be in the 60s. The skies break for your Monday and Tuesday, but the clouds return for the middle and end of next week. This will keep the temperatures in check as well with highs in the upper 60s and lower 70s through the week. Have a wonderful evening and I’ll be back on the 28th! Isn’t that great? You can click on the image for a bigger picture. Hopefully you can see the temperatures…that’s quite the temperature swing! 🙂 I actually like his illustrations better than mine! 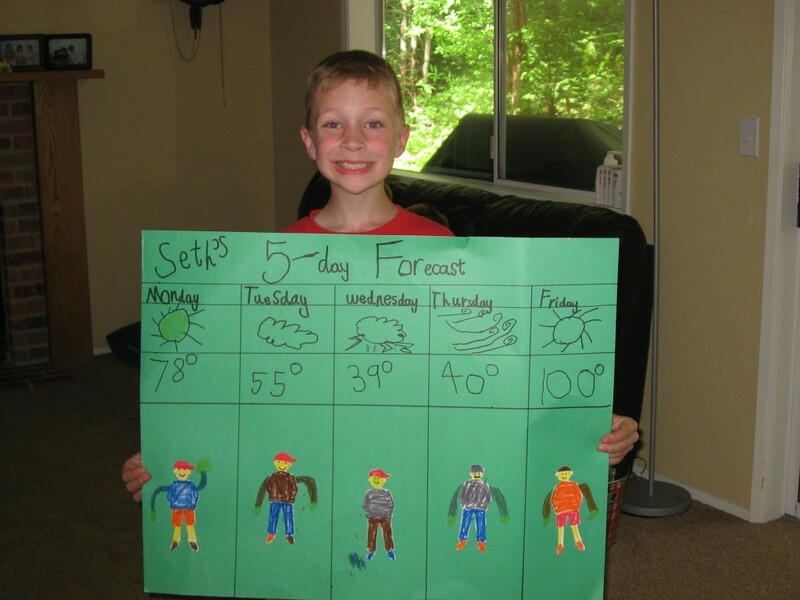 That was actually about the age I started doing weather predictions/videos, so who knows…maybe he’ll be CK’s next weatherman? Speaking of swings in weather, yesterday was a wild one with periods of sunshine, dark clouds and heavy showers—all depending on where you were. I didn’t have access to my computer at the time of the downpour, but I checked the Bremerton Airport records from yesterday and there is nothing recorded in the gauge. 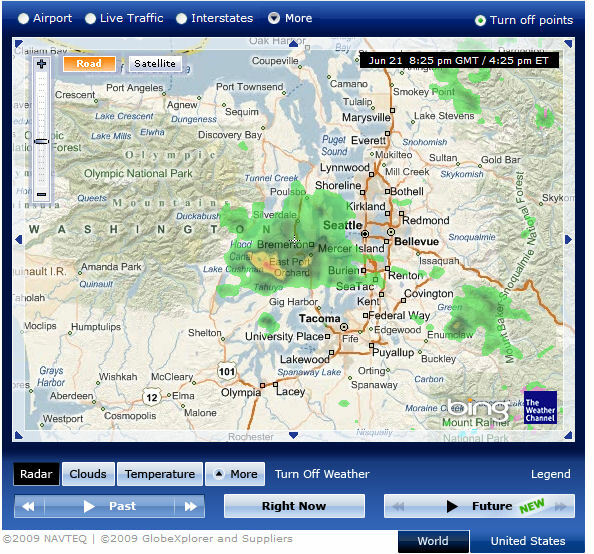 I do know that in the Poulsbo/Silverdale area, however, it was pouring. 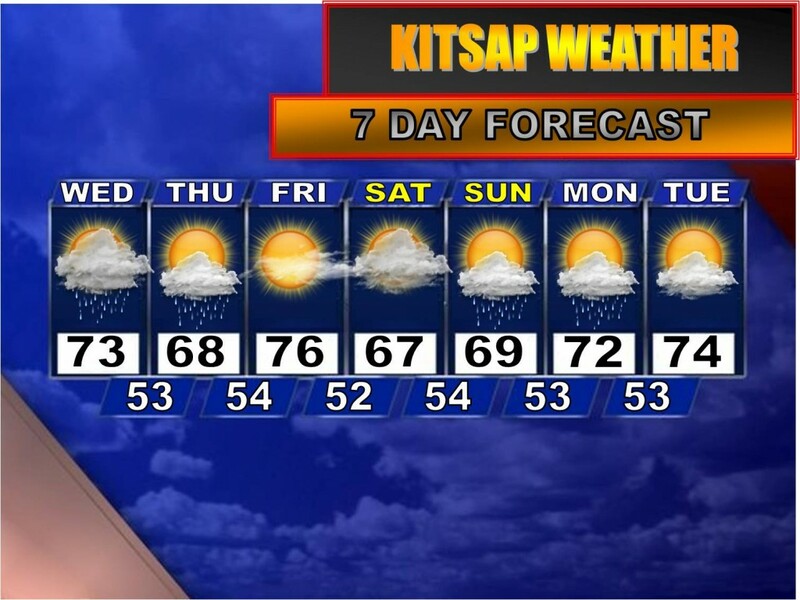 So I suppose Kitsap is breaking it’s dry streak a couple locations at a time! Unfortunately (or maybe fortunately for some) the cloudy and damp weather looks to continue through the weekend with occasional sunbreaks at times, most likely on Sunday, the first full day of summer. Summer officially begins at 10:45 PM on Saturday. Either way, the entrance to summer will not exactly be a warm one. 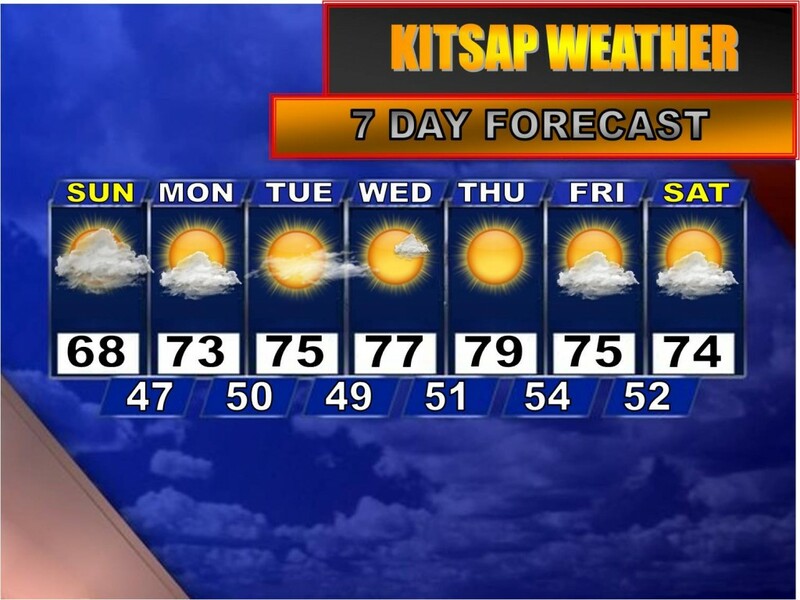 Highs throughout the weekend will be in the 60s. The sun breaks through early next week before more showers and thicker clouds roll in for the latter part of next week…kind of like what we’ve experienced this week: muggy, cloudy and cool. When will the summer weather officially arrive? If I were to take a random stab in the dark I’d say mid July, and if the long range models are to be trusted, that might not be a bad guess as a cool, moist weather regime looks to be the default for now. Don’t say you weren’t warned a few months back! Remember: June was expected to be rather cloudy, moist and cool! Weather Detectives: Nabbing the Elusive “Gully Washer”! This is the big question I had yesterday as I was going through old records from the Bremerton National Airport. On Thursday, June 11th the rain gauge read: 0.15”, which seemed preposterous to me considering the radar was quiet most of the day (or at least the hours I was awake) and it seemed unlikely the airport was the only place that got precip while not affecting anyone else. But thanks to observant blog readers that live near the Airport we were able to put the pieces together and answer the question: what exactly happened Thursday the 11th? Many of you reported that there was a particularly strong thundershower around the Gold Mountain area that affected portions of Port Orchard and Dewatto. 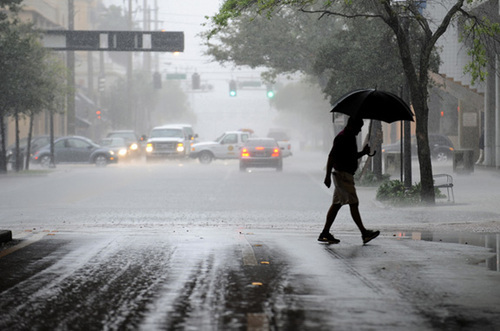 They referred to it as a gully washer, which is a heavy downpour of rain that typically has a lot of runoff associated with it. They aren’t common in this area believe it or not (which explains why this is the first time I have heard the term used) but they can and do happen. So I’m thinking that could very well be the culprit…not a mist, but a gully washer that, as one of the commentors noticed, “puff[ed] itself up in a big hurry, seemingly from nowhere”. Thanks for being weather detectives for me! I do realize the Airport creates it’s own weather but I also know that information can be inaccurately reported. That’s why I love the public’s help! 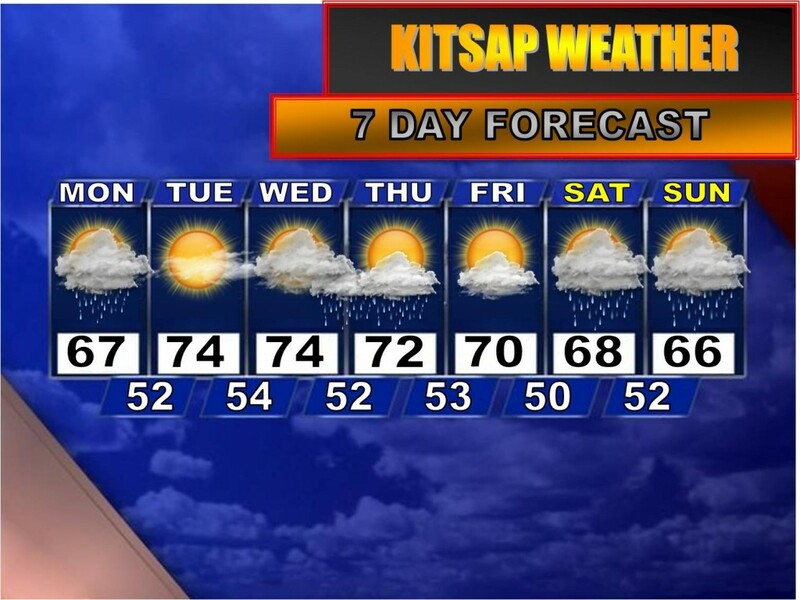 So it appears, for at least a small portion of Kitsap, the 27 day dry weather streak has ended, but for others it is still going but could end soon as a widespread front is moving in that could squash any “hopes” of making the record books. You’ll notice the clouds continue to increase this evening ahead of the front and sprinkles will likely be the biggest event that will come out of the front. The next shot of rain could affect the area in the afternoon as a convergence zone forms. 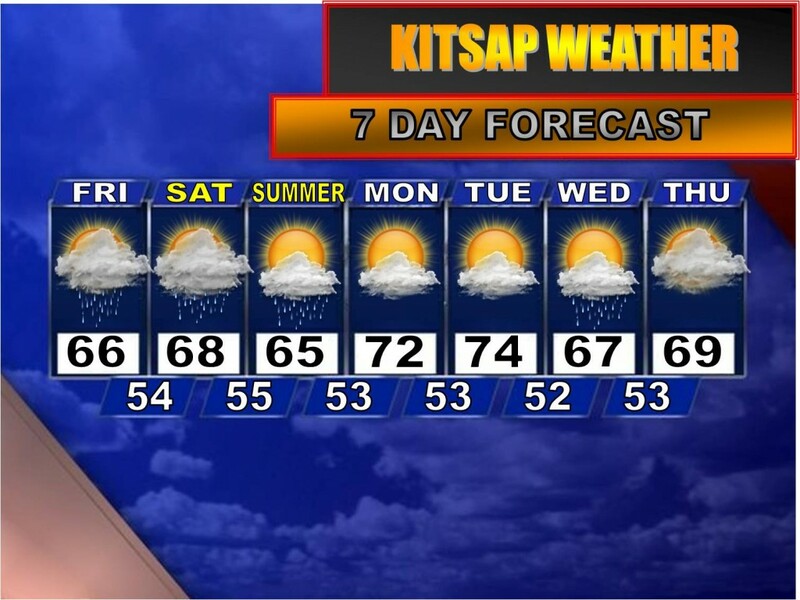 These zones typically only affect the northern and eastern zones of Kitsap county, but just be aware that it could get a little damp tomorrow. Regardless, it’s looking kinda cloudy and cool with highs in the mid to upper 60s. 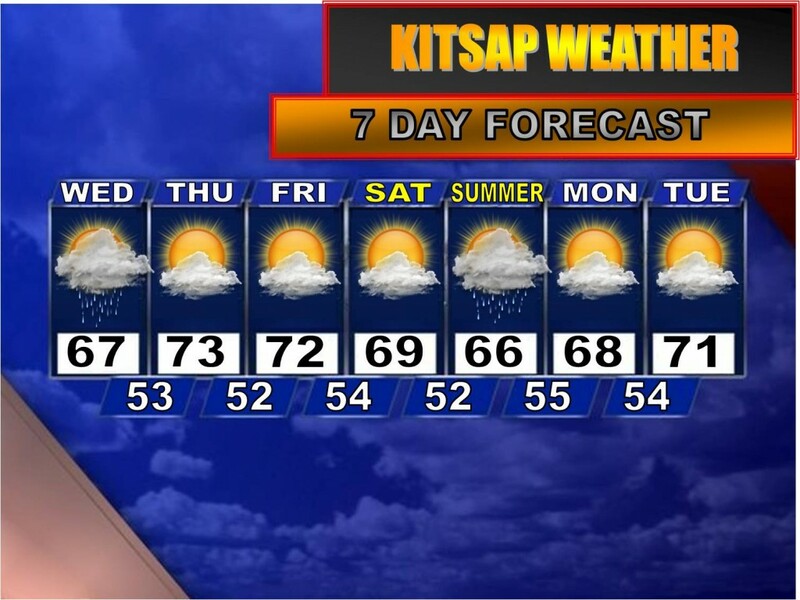 We dry out again Thursday through Saturday before more showers and cooler temperatures creep back into the forecast. Apparently in some station reports from the Bremerton Nat’nl Airport, 0.15” of rain or “mist” was recorded on Thursday, June 11th. While not impossible, I find that to be very hard to believe considering 1) the mist would have to be pretty heavy and last for a period of time to add up to as much as it did…and the satellite picture was partly clear by the afternoon hours 2) most stations–or at least the major ones–West of the Cascades and stations around the Shelton area were dry all day with 0.0” in the gauge and 3) records kept at the Airport are spotty at best and ever since the -19 degree reading in Bremerton a couple months ago and the 11.06” of rain recorded on Tuesday, May 5th I have been more and more cautious getting my numbers from that source. This is where you come in. I know that I have some readers that live all across the peninsula and would like to know if there was anyone in the general area of the airport on Thursday that would have any information about a thundershower/mist/rainstorm that occured on Thursday. One commentor says at her house 12 miles from the airport a thunderstorm struck and dumped .25” of rain in her gauge. I have yet to find out when this occured, but this could be the culprit if it indeed did happen on Thursday.